Description: This detail is from the 1719 map by John Senex "A map of Louisiana and of the river Mississipi [i.e. Mississippi] showing the Tampa Bay area of Florida. Senex took quite freely from Guillaume de L'Isle's 1718 map of North America, including the landing place and route of Fernando de Soto, and the Bay of the Holy Ghost (Tampa Bay), which is shown as extending across the Florida Peninsula to the Atlantic. 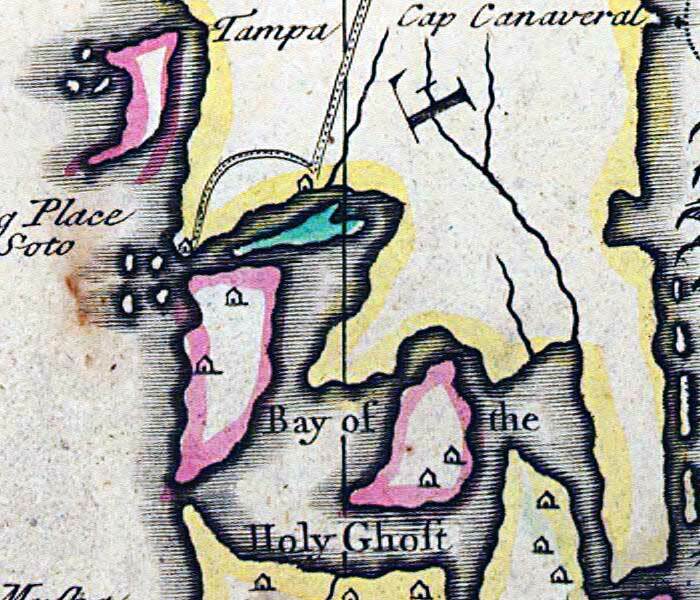 Several Native settlements are shown south of the Tampa Bay.